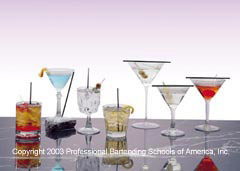 Our professional bartending course is designed to give the students the experience, knowledge and confidence for a successful career, full or part time, as a Professional Bartender/Mixologist in the Beverage Industry. 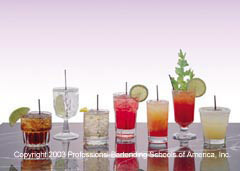 (Students do not need previous bar experience to take this course). 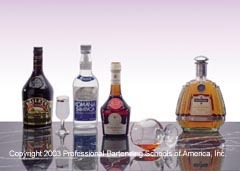 Our thorough hands on program covers much more than just drink preparation. 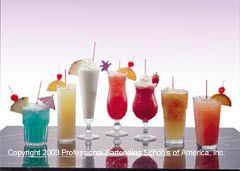 Students learn the popular traditional drinks and new trendy cocktails, up-selling, bar set-up, cash handling and customer service. 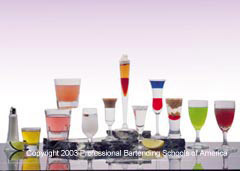 Our instructional staff has many yearsof bar & management experience and stay current with the latest drinks and industry standards. 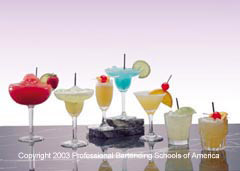 Our bartending manual allows the students to learn from an easy step by step method of teaching and start mixing drinks behind our fully equipped bar from their very first day.